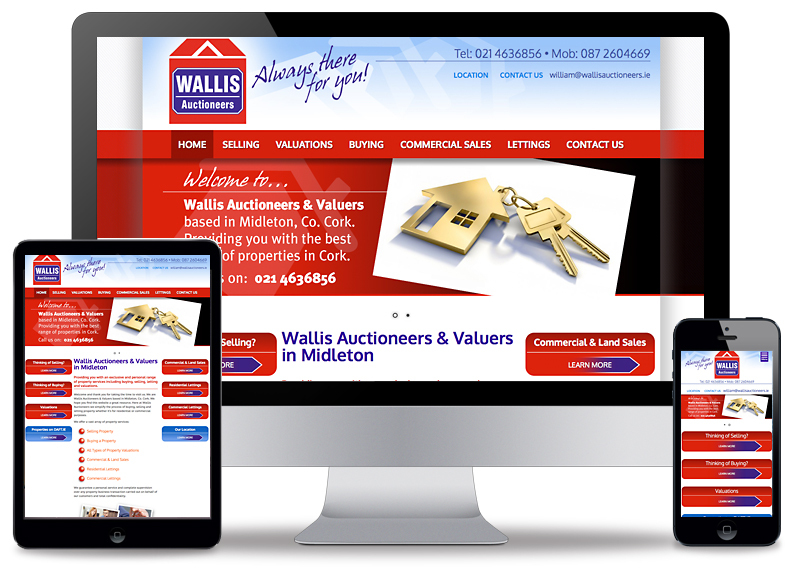 Sixmile Design designed and built the website for Wallis Auctioneers & Valuers who are based in Midleton, Cork. The website was built in WordPress allowing the client to update the site themselves. The home page is a 3 column layout while the whole website design is built within a responsive framework to cater for the mobile platform. Overall the website design boasts an attractive red, blue and white colour palette while the site itself is a one-stop resource for buying or selling private and residential property.